Please CLICK HERE to visit the Leukaemia UK donation page in memory of Ashley Firth. We would like to thank you all for your support. 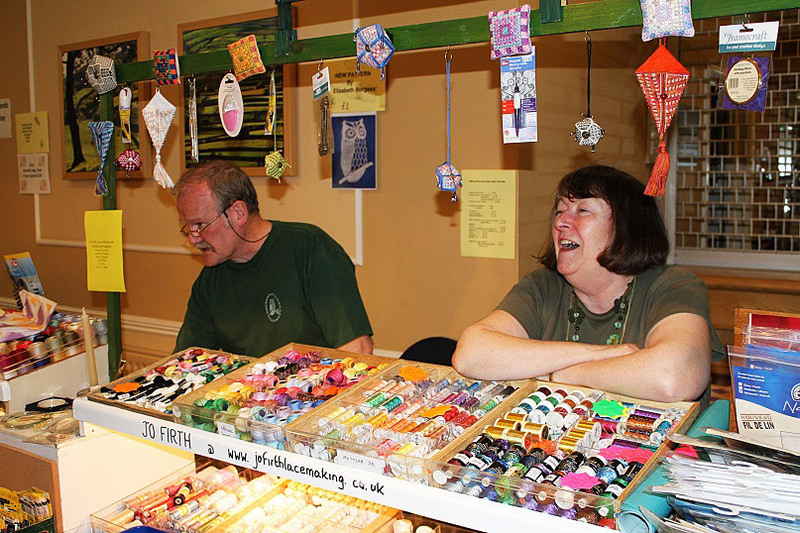 Welcome to our online Web Shop supplying all you could want for Lacemaking (bobbin and needle), tatting, miniature and specialist threads, Delica and Mill Hill beads, fabrics, kits and many unique and unusual items. Our stock is vast and varied, of exceptional quality and available right here online for your convenience. Ordering couldn't be simpler or more secure, with easy to follow instructions - you are just a few clicks away from what you want to create marvellous pieces. We do hope you enjoy your shopping experience with us and will be delighted to answer any queries or help you to find what you need; you can easily get in touch via our Contact page. If you only want to browse, or to shop, click on "Shop Online" and a category menu will appear on the left. Select a category and browse! To look more closely, click on the selected item and then click again on the photograph for an enlargement. Hope this helps the "not too confident" browser! The postage and packing rates are U.K. ONLY, but if you are an overseas customer, do send an order and I will send a PayPal Invoice for the additional postage required.Contact Jo by e-mail for an estimation of this if you like. Here at Jo Firth Lacemaking and Needlecraft Supplies, we can supply Beginners Kits, Beads from Mill Hill, Gutermann and Delica, Threads in all colours for all needs, possibly the best selection of needles in the country, a selection of cross stitch, canvas work and beading kits, jewellery wires in many colours, and all those little sundries which people say "I've been looking for one of those for ages!"